The following interview with the city programmer Anti Malware. He programmed each small area in the new field of Saturn with an ancient laptop from the Stone Age. Mr. Malware, on the grounds of parliament to an underground bunker, possibly even a tax authority be established. Making it the announced by you compacted Penthouse disappeared at this location from your table into the parallel world? Anti Malware turns on his laptop and asks for patience, because he has not had time to buy the latest operating system. (He still uses the old operating system that even the manufacturer has officially banned.) Anti Malware is waiting for his laptop and refuses to advance to answer the question. After 540 seconds his notebook has finally turned and he answers: No. The discussion of parliament come to this moment do quickly. City dictator Soft Ware and I had with Prince Mal Ware goods time a session to issue foxes in the square of Idiocy. There we have together clearly stated that we want to set any tax authority in parliament. Of course I also want to program any more tax authorities. The then devours even more money than the previous tax authorities away from city centers. After only 11,111 seconds later, the competent Prince says the opposite of what he has promised us the secret of the public meeting. That's very surprising. I want to finally work on my next program. The Prince bugging me extremely. We have agreed in the meeting with Mr. Ware: Taxpayers do not want a new tax authority. The small area of the new Saturn is not suitable for it. It is wrong to set up such an authority in the middle of the city. Citizens in the new Saturn want to enjoy more freedom. They do not want to be constantly reminded that they are only taxpayers. I represent this opinion also quite persistent. Mr. Ware has told us that it will probably be at least eight control authorities in the new area in the town of Saturn's Idiocy. That must be because of Saturn's statistical distribution that. The declared dictators of Saturn to the competent authorities in the new field of Saturn. Mr. Ware has but we are assured that there will be no tax authority in the field of city Idiocy. He let us down tremendously. You do not want your colleagues to help find a place for the new tax authority in the Idiocy? Anti Malware strikes unexpectedly on the screen of his notebook with his fist right hand. No. On the contrary, he has become my greatest enemy. He wants a new tax authority in accordance with the orders of the supreme dictator of Saturn. I'll do my resistance to my work. If necessary I will infect the new tax authority with the virus "Kill the Tax". In addition, we have decided in the bunker that we want to accept any new tax authority. But the subterranean bunkers are you ready? Yes. For temporary use as an underground bunker, the area would be ideal: Above ground, food, sanitation, bedding - everything is there. We want to be in solidarity with the saving foxes and happy to take foxes on in our area. And that's from the summer already possible? I doubt it. It begs the question, in what condition and at what price the building reverts to the city Idiocy. The building stands on the ground of the city idiocy and still needs to be reprogrammed from me. Parliament pays under a contract with the homeowner a maximum rent. In this respect, a rapid return is in the interests of the owner. Anti Malware discovers disappointed that the screen is broken to exactly 49 percent. He shouts. He jumps. He uses the last chance all of his data from the notebook to carry into close prison lying to his imprisoned friend via email. He shouts for joy this time: Saved data before disappearing into the parallel world! It is quite possible that parts of the building remain a while longer than mid-summer. Legally, the agreements must also be terminated first, which has not yet been carried out. Of course, the owner has great interest as soon as possible the building for rent to the authorities of Idiocy. Finally, provide the city dictators of Idiocy to the owner of the maximum rent. The authority of Idiocy has no handle. And if the building actually be completely ready for rent in 66240 hours, presumably numerous deconstructions have to be made, for example, the entire infrastructure. That's my job then. For this building program an underground bunker. Unfortunately, I will soon be forced to carry out my work on a new operating system. I assume that this will still take some time. Whether therefore the building would be ready in more than 66000 hours for the impending wave of endangered foxes, is highly questionable. But the whole area is to be a temporary underground bunker? Anti Malware negated with a wink: Not necessarily. The building is massive in size. I think I'll go in there also program some geometric figures. Maybe a couple of trapezoids, seven triangles and twelve squares. A diamond would not be bad. Also conceivable is a mixed-use development. In part also apartments for the poorest could be established. And in another part of the state civil control. We must all still discussing. I am pleased dear to the citizens control. It would, the police may partly replace the new field of Idiocy. And what comes at the end, as end use? For a final use of the building is ideal for residential selected alien. It is easily accessible with the space agency. In the higher floors have great views of blue lights. It is close to town. It can build compacted. But even that is only briefly discussed. The end use is a multi-year project. It goes even reprogramming my part. That will take a long time. How goes it on with the arsonists? Anti Malware looks into his plan: We have agreed with Mr. Ware at the same meeting that the authority will award me to reprogram the arsonist the order as soon as possible. My job is in the brains of arsonist to move the point to the Recycle Bin, which is responsible for the arson. I also have to remove it entirely from the trash these thoughts. Although I will warn the Secret Service, if I want to delete really, but that's quite normal. That you know well from your work with the computer? 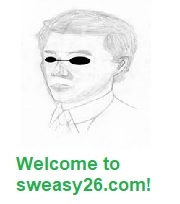 Sweasy26 affirmed. The owner may renounce the lease but. In case of an even better tenant. Bursts of deal at the end yet? Anti Malware grins: The authority of Idiocy is approached at the last moment to us and said there prevails a state of emergency at the foxes. The city has made underground deals. I have to reprogram everything. That is very clear. But I have made a contract with the owner. Namely, a personal, he should rent the building to someone else to even higher rent, I threaten him. With the reprogramming of his brain cells in my favor and in favor of my good-paying clients. He knows that I have a spy all the information deleted from the moon from the espionage threat from his memory with a simple click. The spy did not even know who he is and where he came from. Following this success, I got a job as a programmer of the new city area in particular Saturn in the city idiocy. There are indeed still many opponents of these plans against the conversion. Anti Malware looks at his watch: It may be that individuals have no joy in it. But we are part of the environment. It can not be that we pull up any fences around our area and believe, everything behind it happened, did not affect us. Finally, we will sooner or later still have a lot of foxes in Saturn. The underground bunker makes a good impression here. Anti Malware wants desperately off his notebook. But this will take some time. 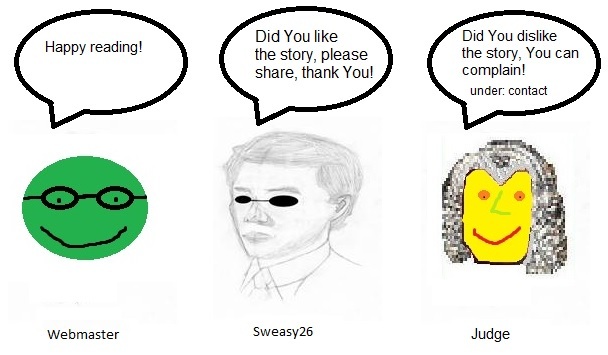 Sweasy26 thanked Anti Malware for the exciting interview. Anti Malware puts his notebook in his pocket. He takes his glass with the cucumber juice and drinks ready. There is waiting for Anti Malware be dismissed from prison friend with a chocolate cake. Both meet and Malware infected the same all his fingers in the pie and is eating. So unhygienic thought extraterrestrial Sweasy26 about Anti Malware.